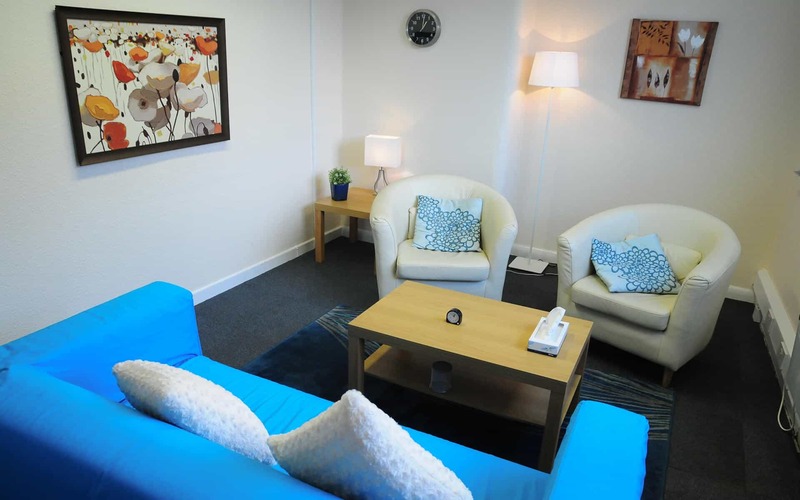 We offer our counselling and psychotherapy services at two locations: one in Wilmslow and the other in Cheadle, where all our courses take place. We’re close to Didsbury, Hale, Heald Green, Bramhall, Cheadle Hulme and Gatley. 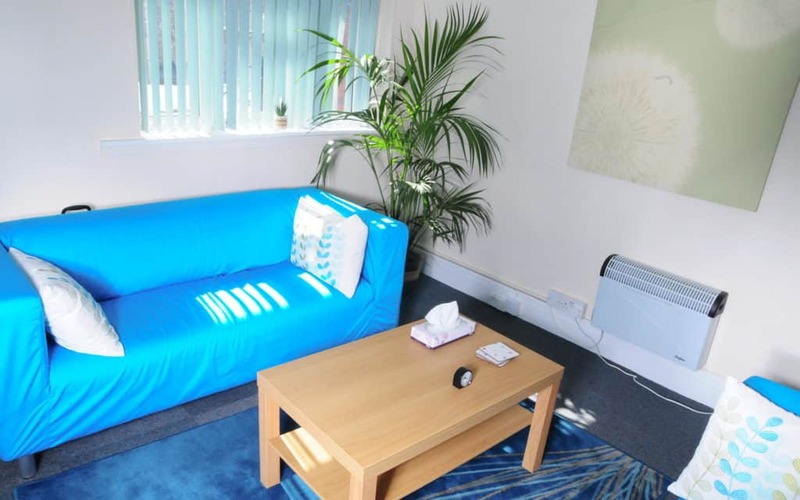 The Cheadle branch of The Affinity Centre is close to Didsbury, Cheadle Hulme, Heald Green, all areas of central Stockport, Bramhall and Poynton. 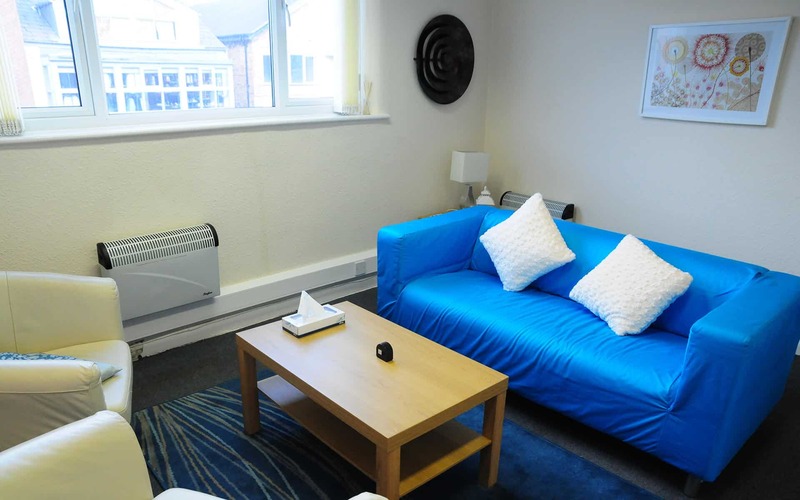 It’s a short drive from most of South Manchester and has excellent motorway and bus links. The Centre itself is above Lloyds Pharmacy on the corner of High Street and Ashfield Road. The entrance to the building is on Ashfield Road, just around the corner off the High Street. There are many paid car parks in Cheadle all a short walk from the Centre. If you want to park for free, you may find spaces at the bottom of Ashfield Road, opposite Cheadle Library (2 hour free parking). Otherwise the main car park is on Massie Street East, which is located behind the shops. From the car park, walk towards the church near the exit and, staying within the car park, follow the path to the left. You will pass Cheadle Primary School and the local GP Surgery. Turn left on to Ashfield Road and The Affinity Centre is on the left at the bottom of this road (only a few minutes walk). There are also smaller car parks along the High Street – just look out for the signs. Wilmslow is easily accessible from South Manchester and Cheshire, including Bramhall, Hale, Macclesfield, Handforth, Gatley and Didsbury. The Affinity Centre is situated on Water Lane, one of Wilmslow’s main roads. It’s housed on two floors above what was Swinton Insurance (it’s now an empty rather tatty looking ground floor building and unfortunately not owned by us). To enter the Centre you will see the door set slightly behind and at right angles to the door for Swinton Insurance. You will need to buzz the intercom to be let into the building by your therapist, who will tell you which floor to go to for you appointment. There are toilet facilities on the first floor. There is ample parking with an NCP car park opposite the Centre and on-street parking, which is free for one hour during the day and free for longer periods after 5.00pm. If you are coming to The Affinity Centre, there are many restaurants and cafes in the area close by for food. There is a small branch of Morrisons just a few doors down from the premises, from which you can buy sandwiches. Unfortunately there is no disabled access to The Affinity Centre in Wilmslow, and there is a flight of stairs that you have to climb once through the main entrance. We now deliver all our training at The Affinity Centre’s Cheadle branch. 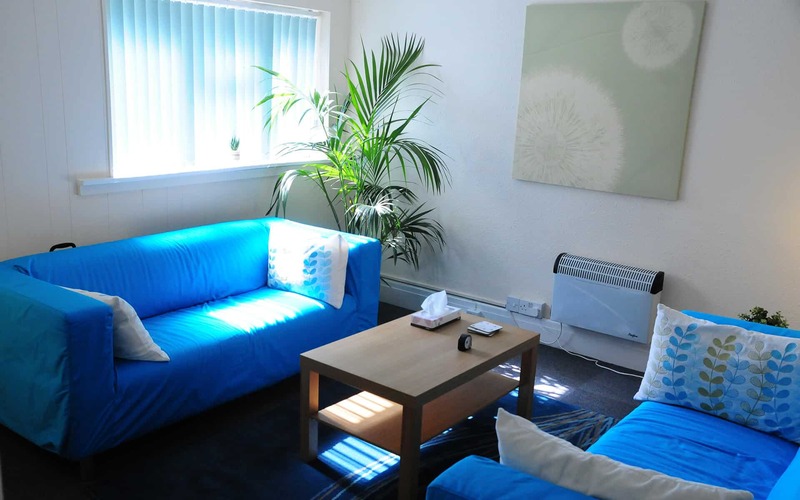 We have a large training room that comfortably seats 14 people and two other break-out rooms for smaller group work. The kitchen is fully stocked with a range of teas and the coffee machine is always on the go so that you’re never far from your next caffeine hit! If you are interested in learning more about Acceptance and Commitment Therapy (ACT) or want to train to work with couples, please follow click the links below to read more about the particular course that interests you. A mindfulness-based model of psychotherapy that can help treat issues like anxiety, depression, intrusive thoughts, stress, anger, relationship issues and OCD. Are you a therapist or counsellor who wants to work with couples but doesn’t know where to start? Ever felt powerless as a couple you're working with argues in front of you? Via this course, therapists can gain a deep theoretical understanding of couple relationships that serve as a map to guide interventions. 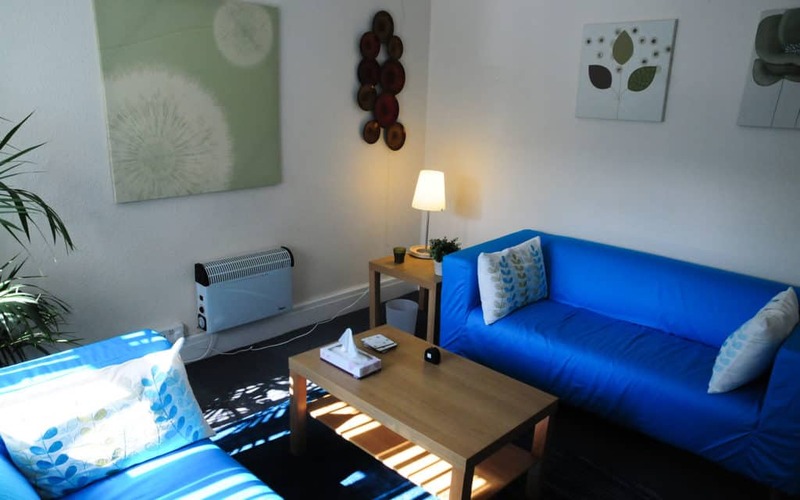 Primarily aimed at practicing counsellors, psychotherapists and psychologists who want to introduce the ACT model in a consistent way into their client work.